Foggy fall mornings make for the most interesting scenes. 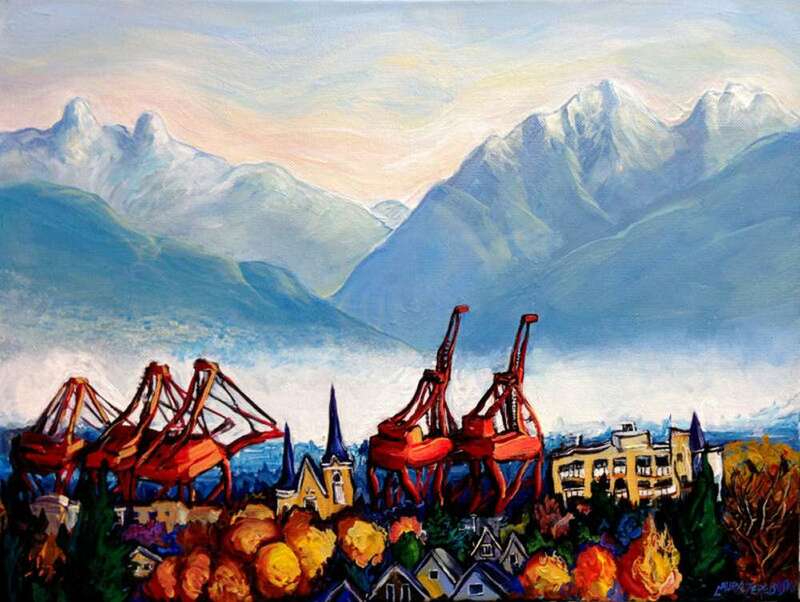 The morning light makes the mountains look like an opalescent mirage while the Port of Vancouver harbour cranes stand out as the biggest, brightest shapes against the layers of fog. It’s a magical view when those huge orange-red structures rear up like primordial pack animals out of the mist.